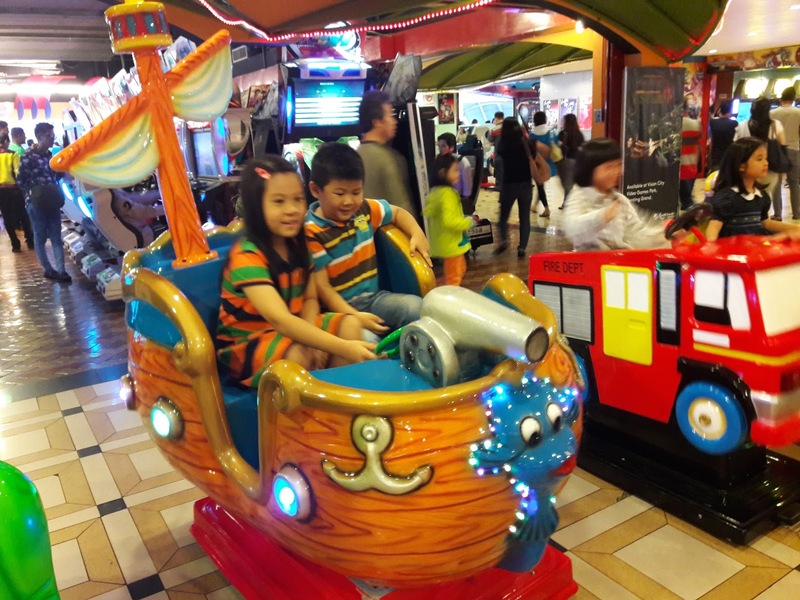 My brother and I love to play video games, sit on kiddie rides and play arcade games. 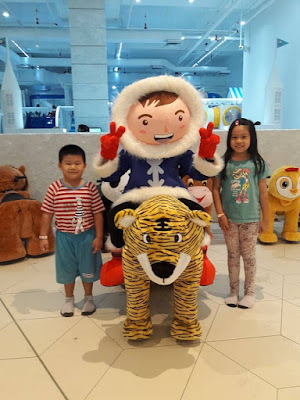 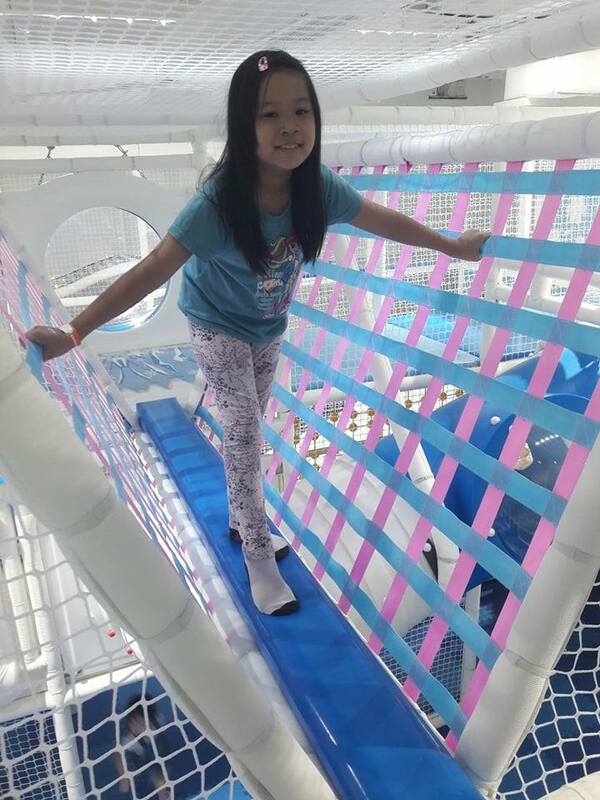 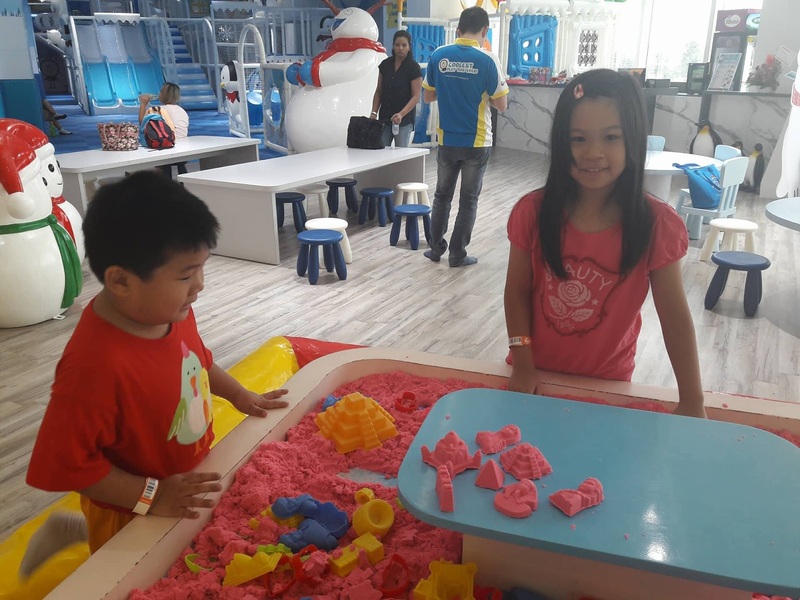 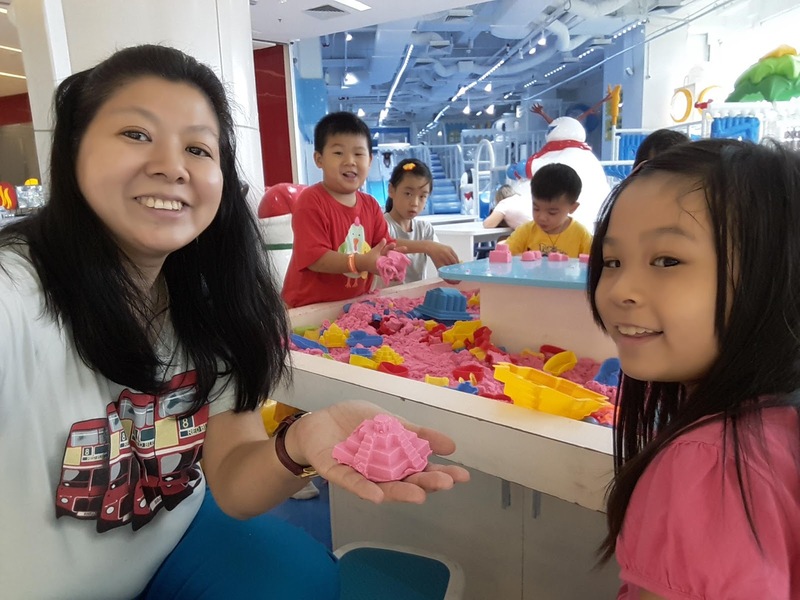 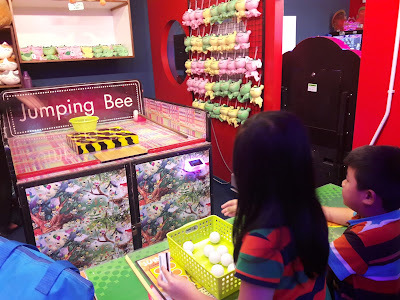 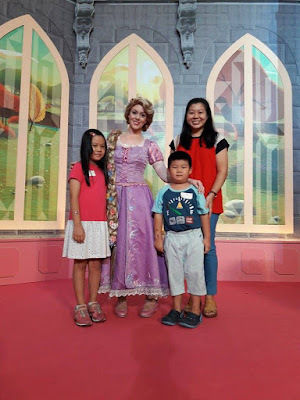 During the school holidays, my mommy brought us to Vision City Video Games Park at Resorts World Genting for some great fun! 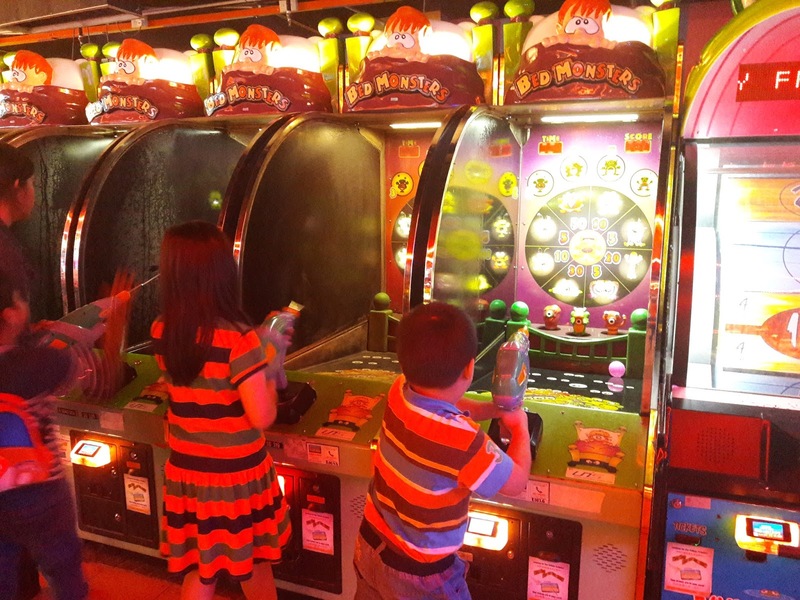 This is one of the largest arcade centers in the country with a total of 429 units of machinery available, offering 4 different types of games, namely video games, redemption games, kiddie rides and skill games. 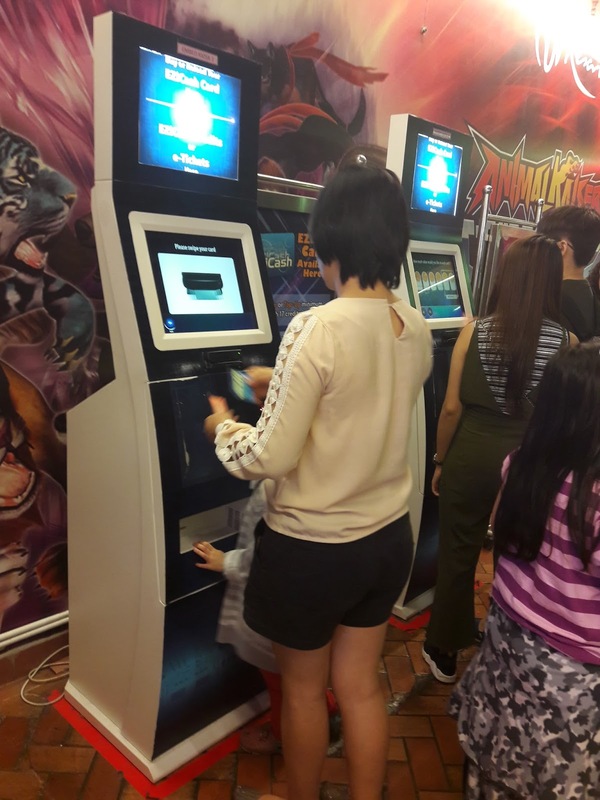 The total number of video games available is 294, including the latest state-of-the-art video machines from Japan, Taiwan and China. The centre's yearly product refresh cycle covers about 10% of the total number of machines so you can enjoy new excitement all the time. Some of these games depend on luck and skill. 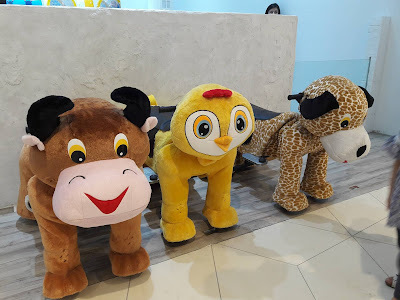 If you are good, you can take home a plushie on the spot. 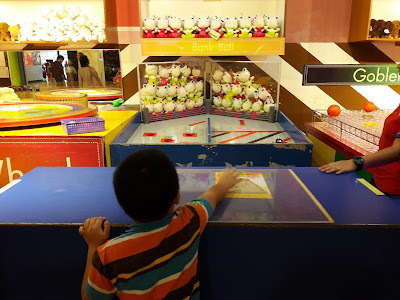 Some games are played for fun. 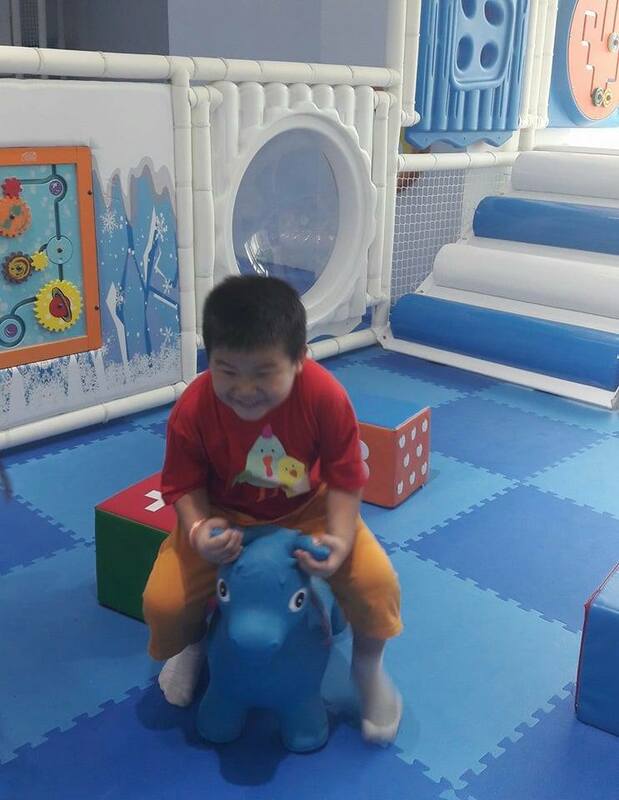 We enjoyed ourselves very much. 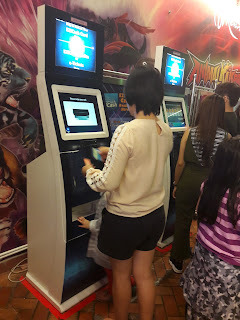 All these games can be played by reloading money to the eZiCash card at the counters or machines. 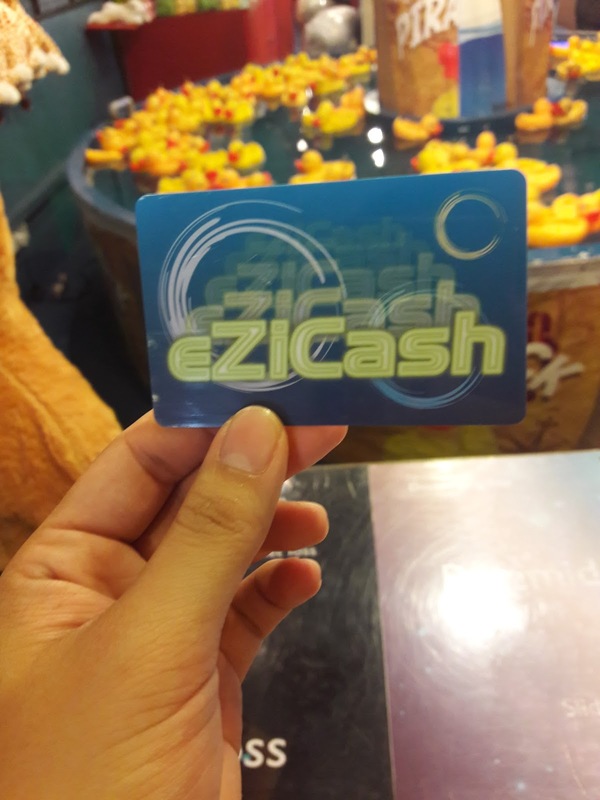 If you play the redemption games and hit certain targets, the scores are converted to e-tickets and stored in the eZiCash cards for a maximum of 2 years. The e-tickets can be used to redeem merchandise at GRC too. I am sure you will have lots of fun here. 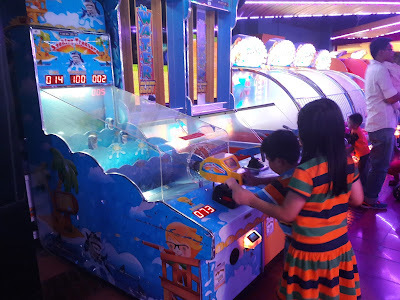 The arcade games here are for the young and old, you will find some that you really like. 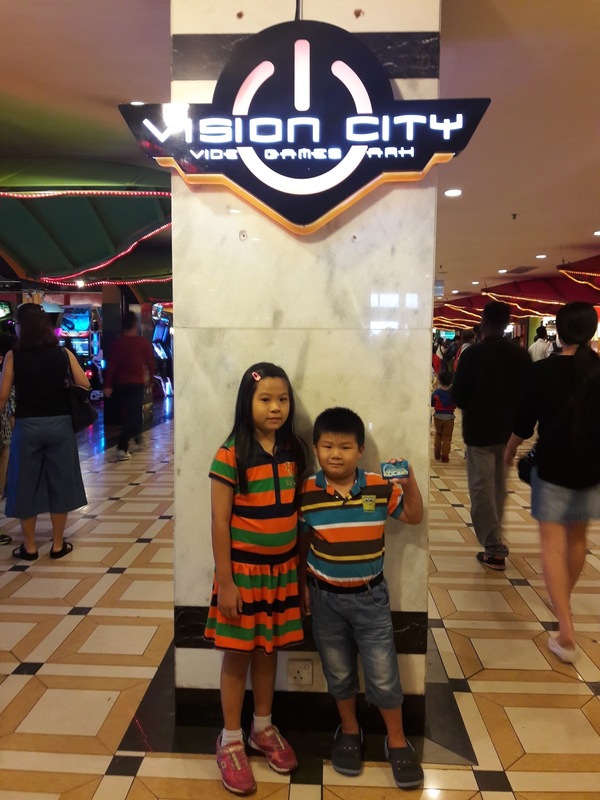 If you come up to Resorts World Genting, make sure you visit Vision City Video Games Park for some family fun. 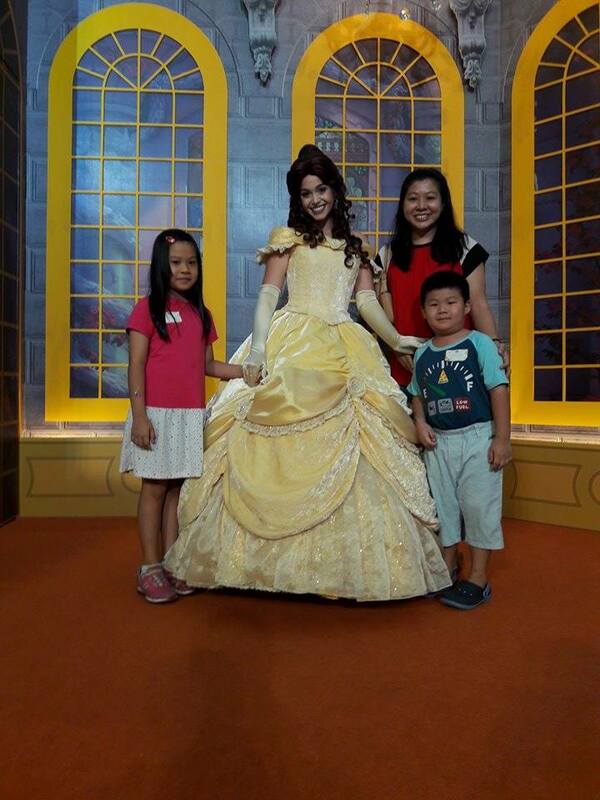 I wish to come here again soon. 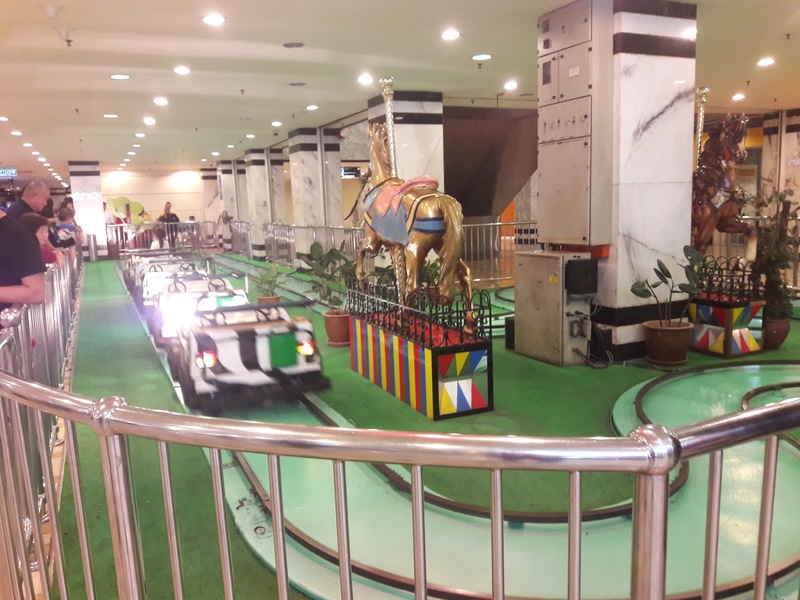 The other exciting thing happening is the opening of the world's first 20th Century Fox Theme Park next year. I can't wait for the opening! 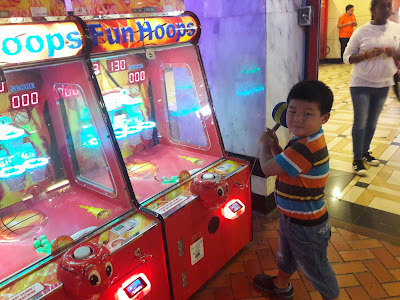 During this school holiday, my mommy brought my brother and I to DreamWorld Playland. 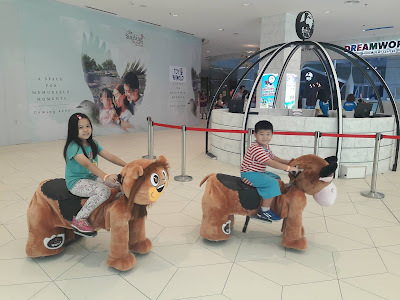 We went to both the Starling Mall branch and IOI City Mall branch. 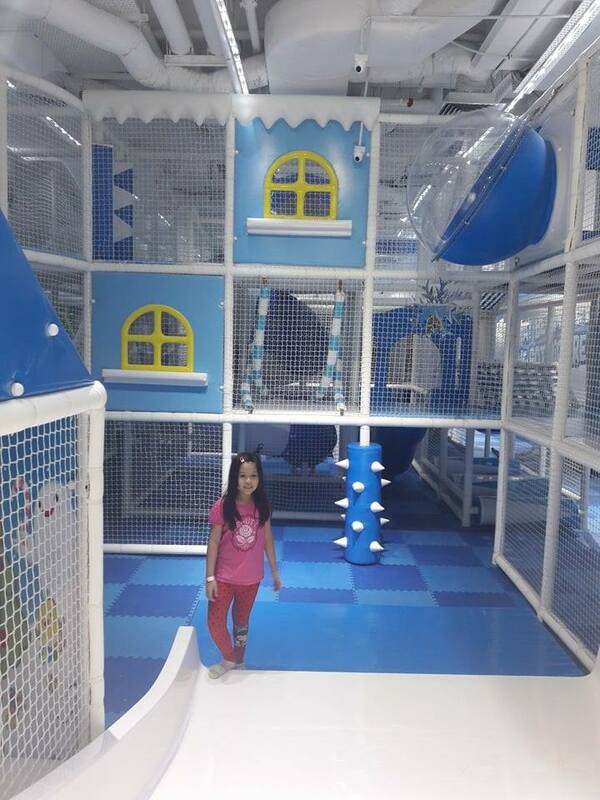 It is a newly open playland for children up to 12 years old. 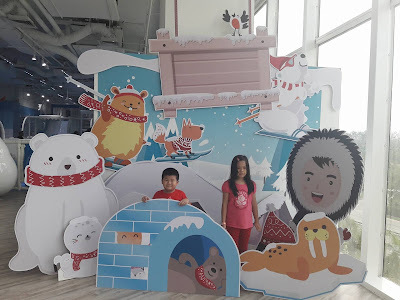 My brother and I liked the cool, snowy decorations at DreamWorld Playland. 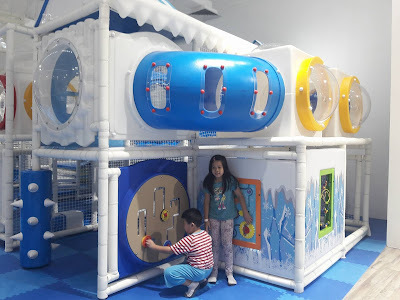 We enjoyed exploring the playland as it was very big with lots of fun slides and every tunnel and hole leads us somewhere fun. This playland is safe as there is safety nets everywhere. We can learn climbing skills here. 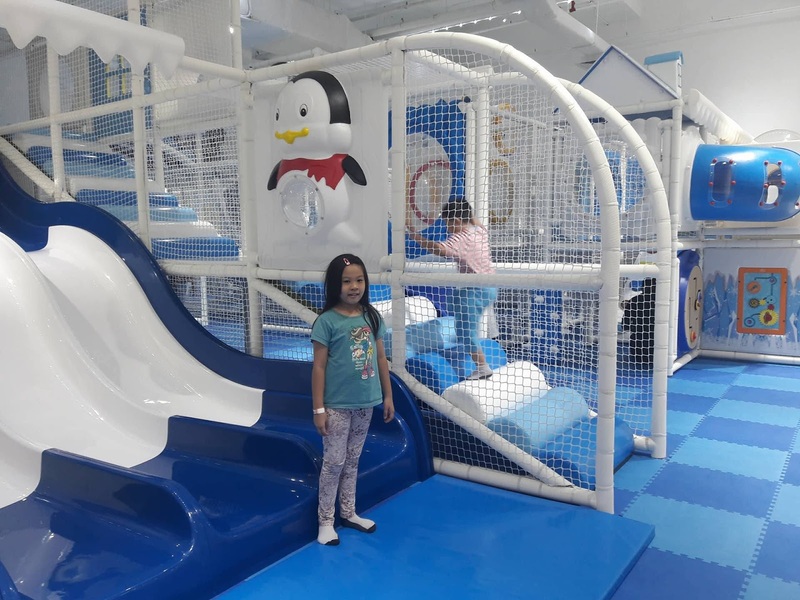 This is a great place for kids to exercise, explore and have lots of fun while bonding with parents. If you love making sand castles or playing with sand, you will love the sand box area. There are also DreamRides at Starling Mall branch with many different animals to choose from. 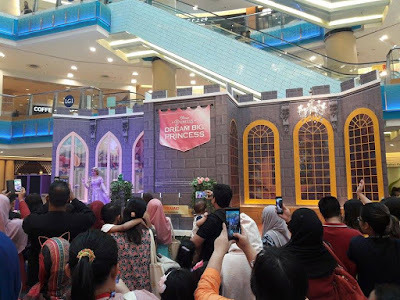 The ticket price for Starling Mall branch is shown below. 1 adult can enter for free with every child ticket purchased. 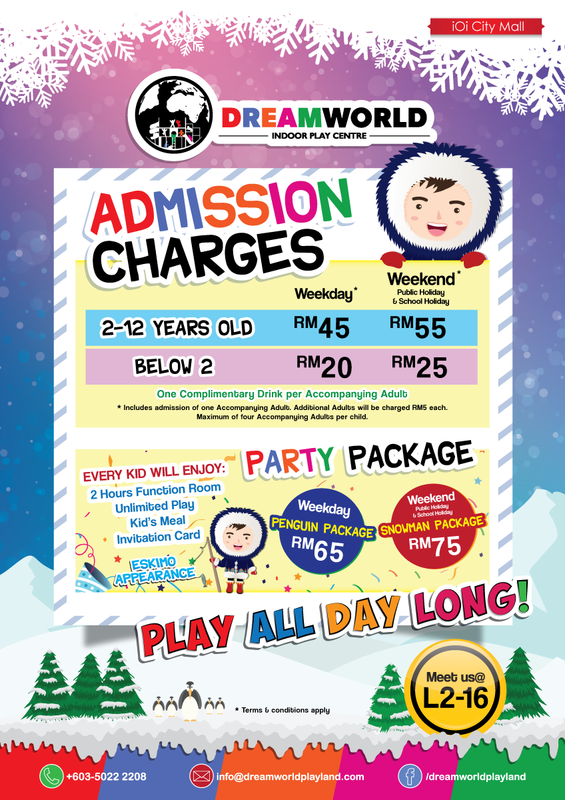 Additional adult is RM 5.00. The IOI City Mall branch ticket price is slightly cheaper. 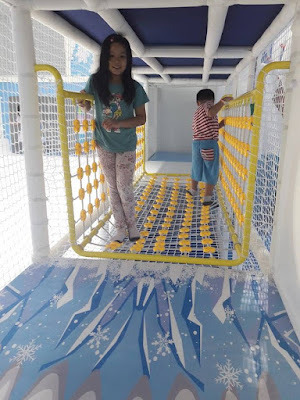 Come to DreamWorld Playland with your children for great fun! 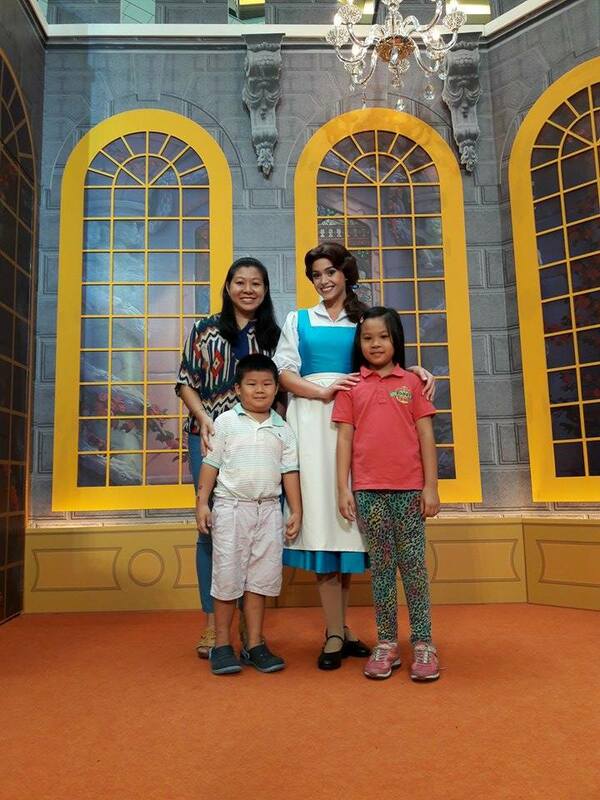 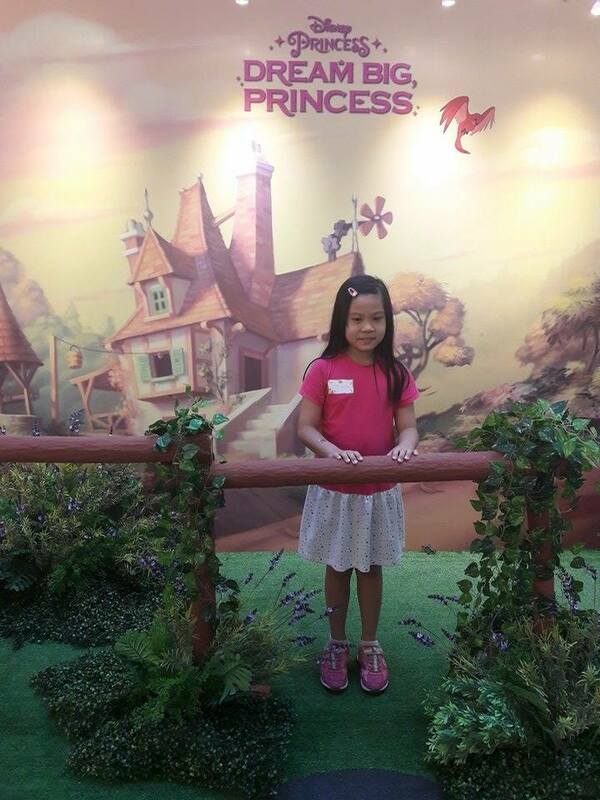 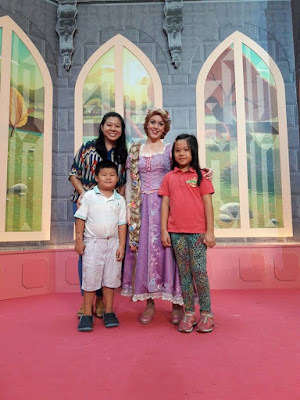 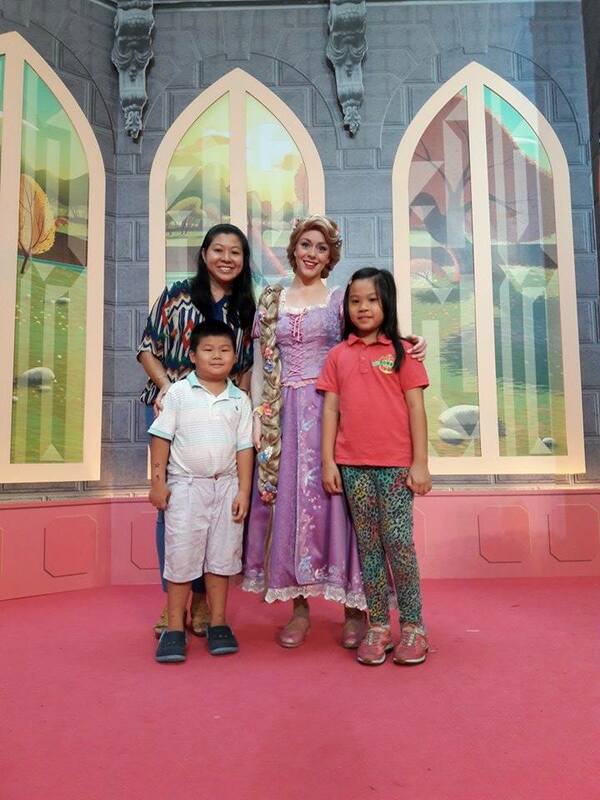 My mommy brought my brother and I to Sunway Pyramid to take photos with Princess Rapunzel and Belle. 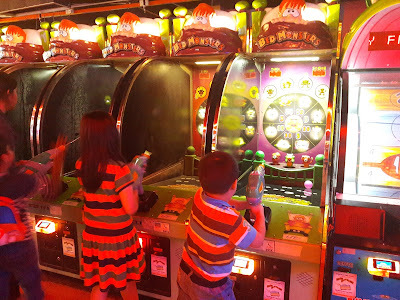 We went twice on different days. 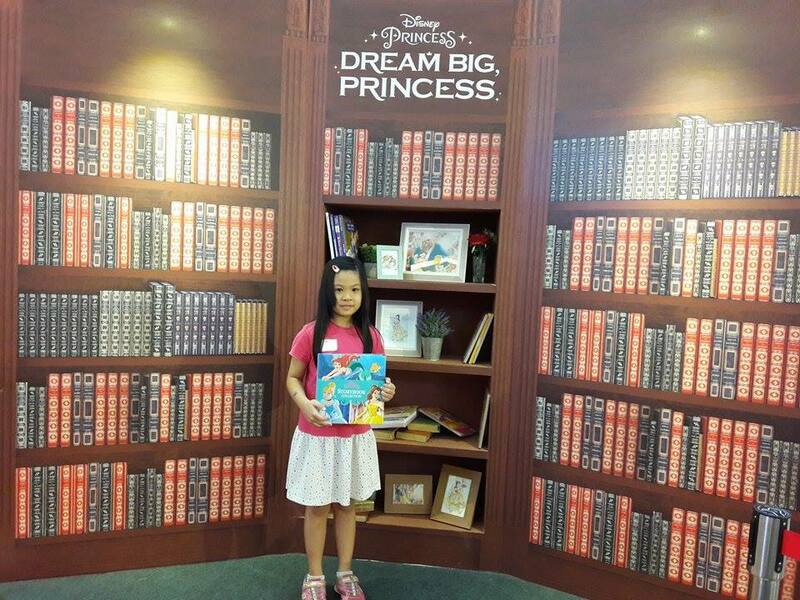 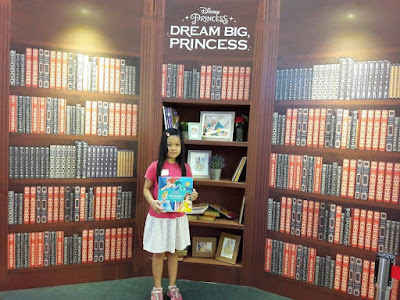 Disney Dream Big Princess event is at LG2 Blue Concourse from 26 May - 12 June 2017. Disney Princesses Rapunzel and Belle will be here from 1 June - 4 June 2017 for Meet & Greet sessions at 1pm, 2:30pm, 4pm, 6pm and 7pm. 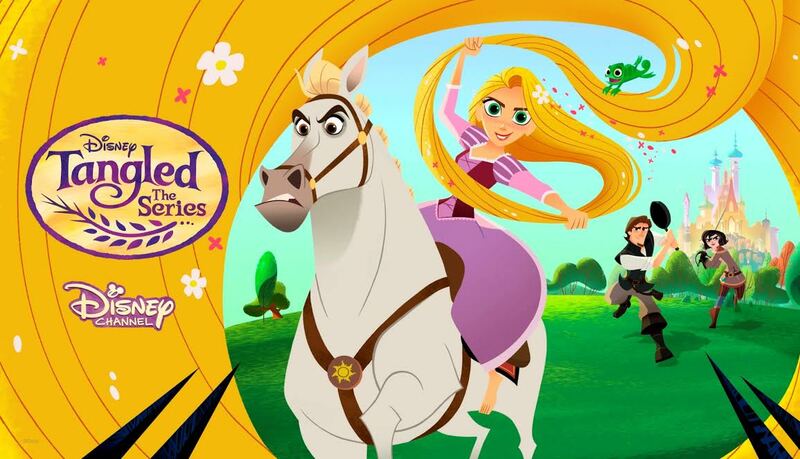 To celebrate Rapunzel’s grand return across Southeast Asia, Disney Channel presents the multi-platform character hunt Tangled Quest. 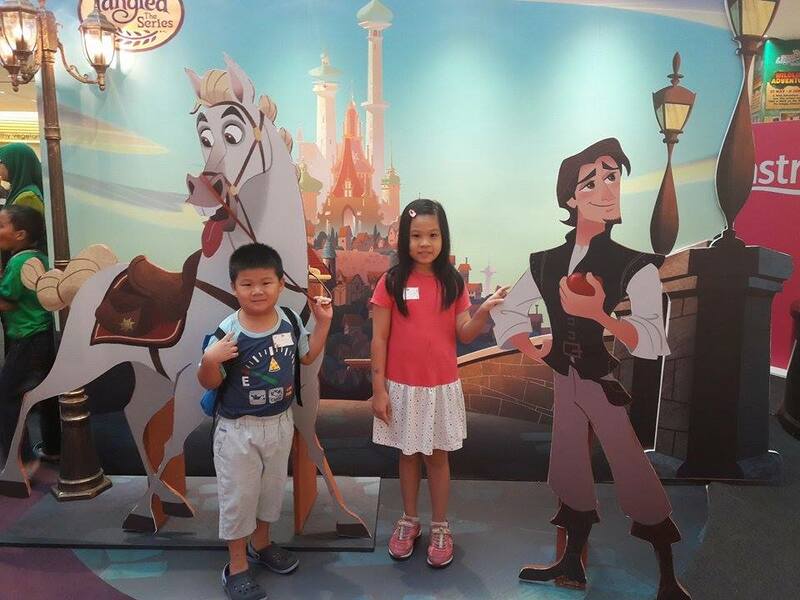 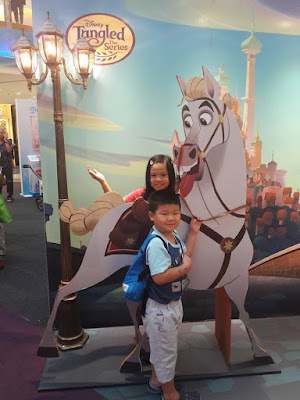 From 21 May to 30 June, kids and families can take part by snapping a picture of Rapunzel, Eugene, Maximus or Pascal with the Tangled Quest insignia on Disney Channel and Disney-owned social platforms and upload it on the Tangled Quest website (www.tangledquest.com). 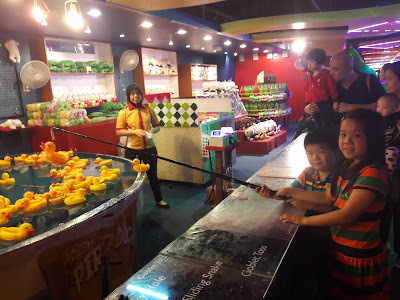 We took many nice photos here. 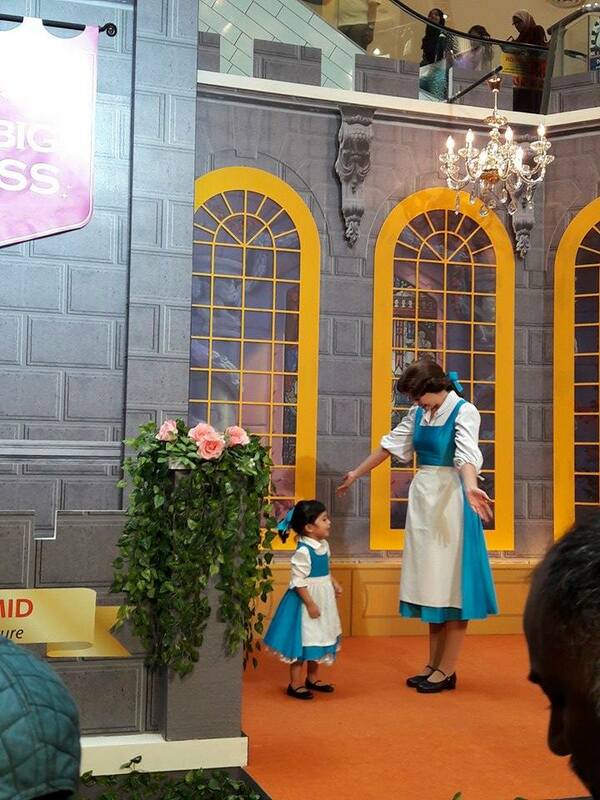 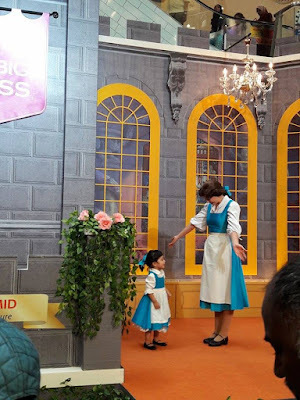 I saw a little girl wearing matching color dress as Belle and she was so cute. 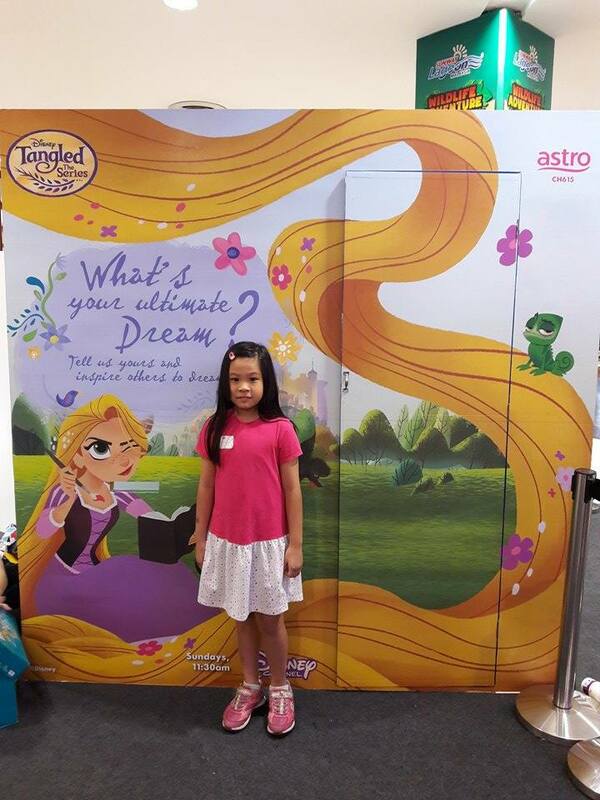 There is a photo booth where you can take photos and get them printed out. 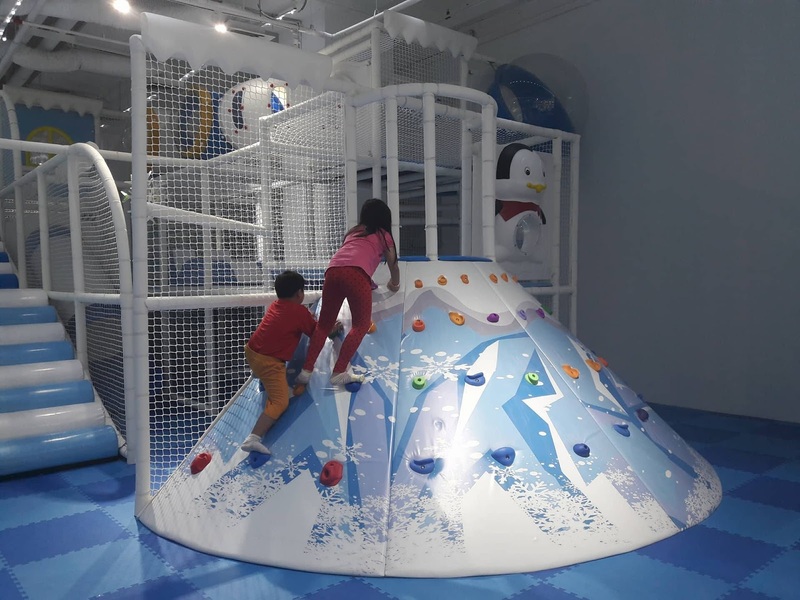 Kids can record a video here telling their dreams and if Astro likes the video, it will be chosen to be aired on Astro. 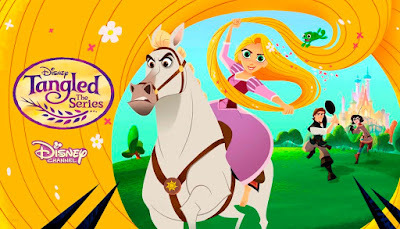 Disney Tangled Series is on Astro Channel 615 at 11.30am every Sunday. Make sure you watch it because the story is really interesting. For more information, log on to www.disney.my.